Awareness and diligence are critical to preventing poisoning emergencies. Most calls to pet poison helplines involve dogs – dogs will eat just about anything and this often gets them into trouble. Puppies, especially, explore their world with their mouths and nibble everything. 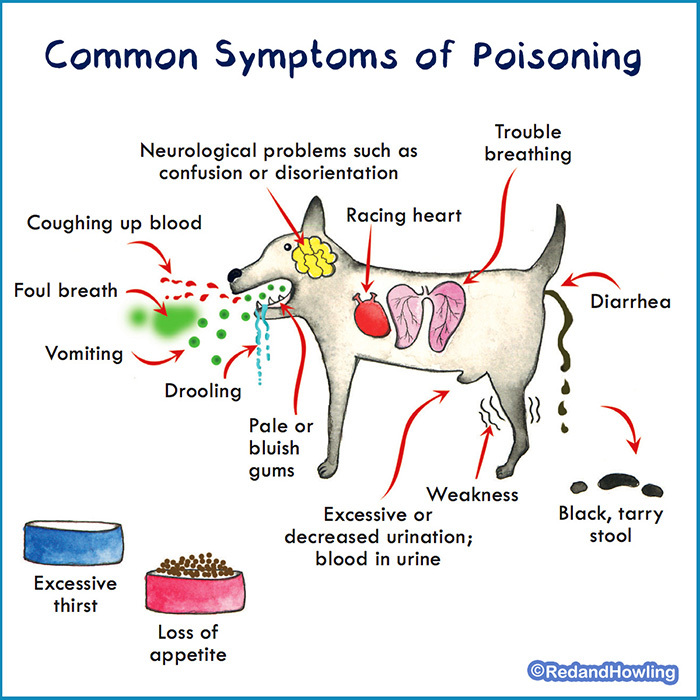 One of the most common culprits of pet poisonings is human medications. Medications can drop on the floor and get grabbed out of an unattended handbag. Some medications, like NSAIDs and cough and cold relievers can be deadly to cats and dogs. If you suspect that your fur baby has been poisoned, in most cases the sooner you get treatment, the better the outcome. If you can, take the substance/packaging with you to the vet, so he or she can see what your pet ingested and take appropriate action. TIP: Keep 3% Hydrogen Peroxide on hand at all times. You can induce vomiting (if the substance ingested is non-corrosive. “Corrosive” meaning battery fluid, for example). Give 1-2 teaspoons per 10 pounds of bodyweight. If your pet has not vomited in a few minutes, you can give the same dose a few more times. Administer with a turkey baster or syringe, etc. Mix into a little milk, etc. Important: hydrogen peroxide expires. Shelf life is usually 6 months after opening. Unopened it can last up to 3 years. You can test to see if it is still good by pouring some into a sink—if it bubbles/fizzes it is still good! PLEASE SHARE any of your own tips and experiences in the comments! I Always try to be aware of this. Here where we live some people say f you have no peroxide at home you could give your dog some charcoal or even kitchen oil. 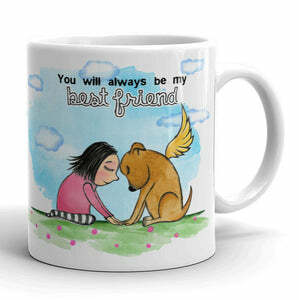 Amy your knowledge along with your art is a must for animal companions and their human companions. 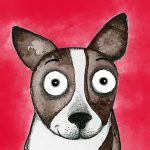 I also got your book For Dogs Sake and it is very informative as well as a treasure because of your delightful whimsical artistic pictures. I highly recommend the book to every pet parent. Thanks for the comment about Hydrogen Peroxide staying good for about 6 months after opening. I had no idea. I thought it was good for a long time. Eg. a year or two. Boy, was I wrong. Thanks again.